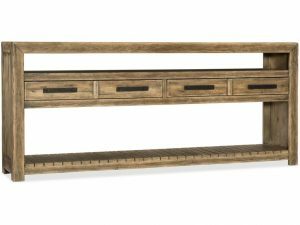 Console tables are a great way to make a statement in your home. 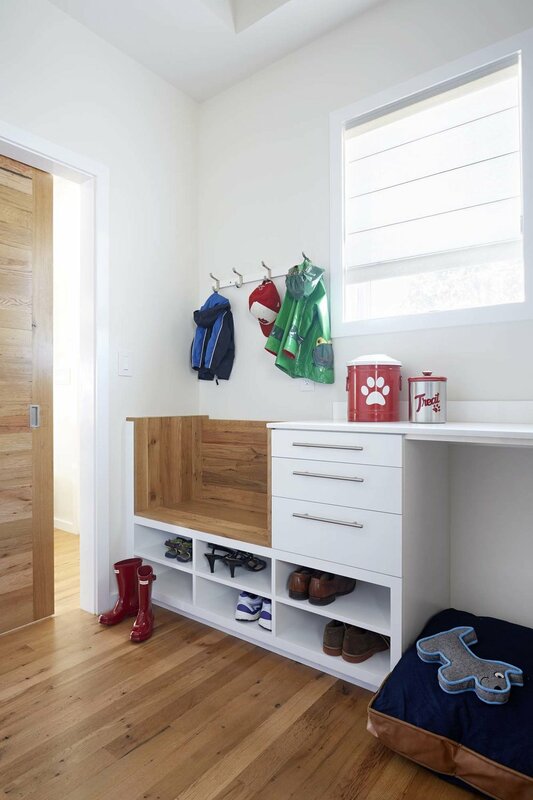 They’re versatile – you can use them in entryways, hallways, living rooms, and more. 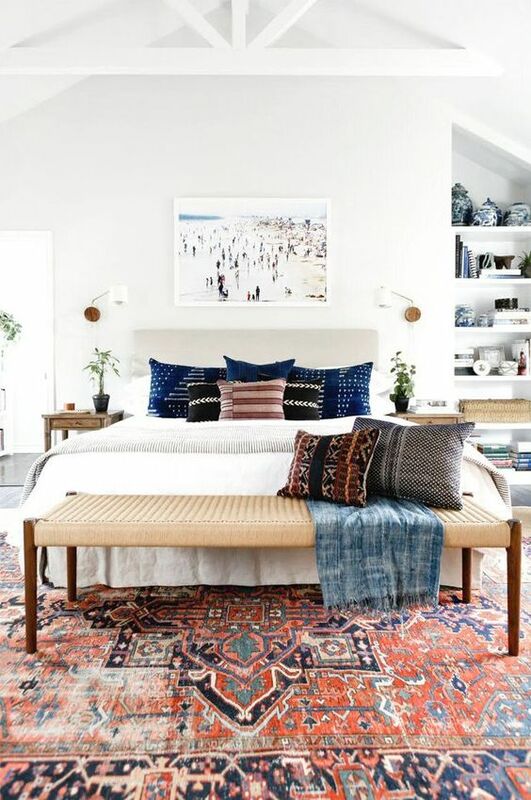 They make a great focal point or they can blend in, depending on how you choose to style them. Often paired with mirrors hung above them, some other common accessories for console tables include lamps, picture frames, and candles, but you can be creative. 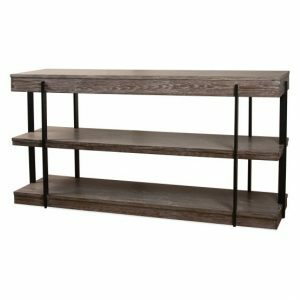 In addition to its rich elm tones, this table features modern metal hairpin legs. Oh, and did you see the storage space on this thing?! 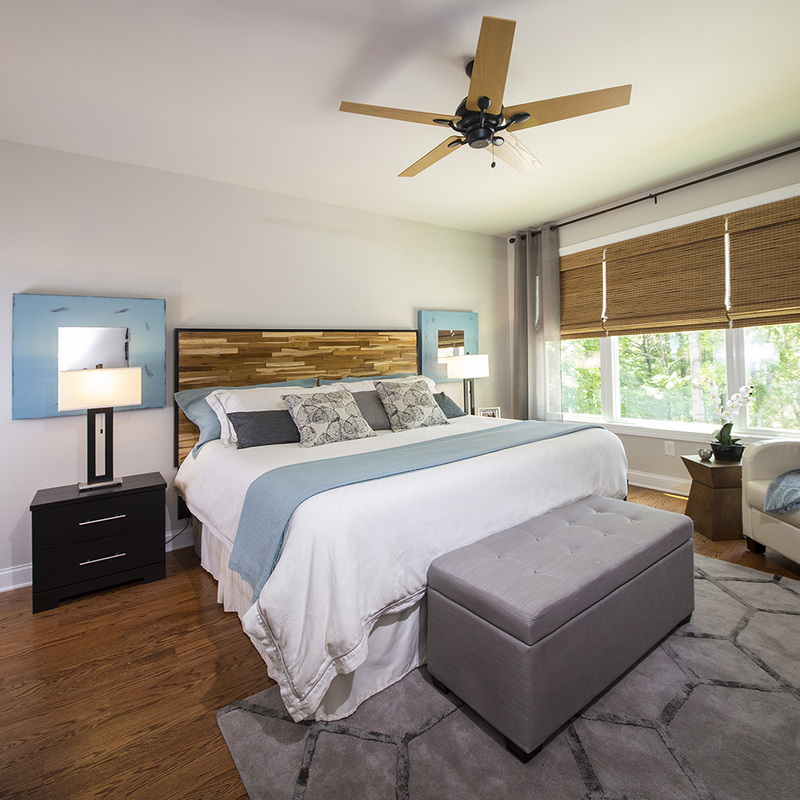 We love the lighter walnut and hickory tones of this one with its clean lines and simple hardware. 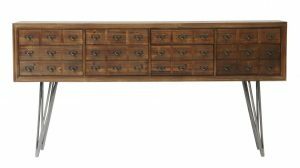 The finish on this table is extra rustic but is contrasted perfectly by the modern, black metal slats. The open shelving is perfect for displaying family keepsakes or seasonal decorations. This table takes rustic to a whole new level. 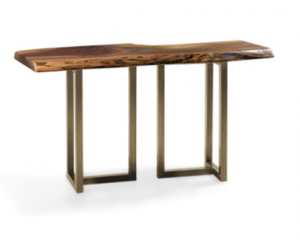 The top is a one-of-a-kind handcrafted walnut slab paired with a t-shaped iron base. 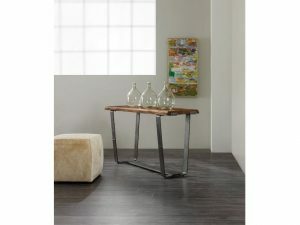 This table also features a live-edge slab but with a metal base for a more industrial-rustic look. 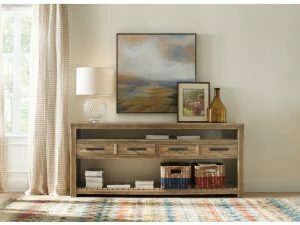 We love it to pair with modern artwork for a living room. 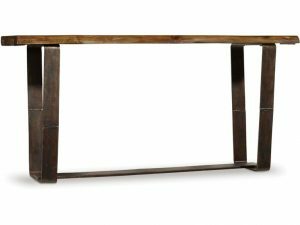 If you’re looking for just the right balance of rustic and modern in a console table, we hope these suggestions are a helpful starting point. 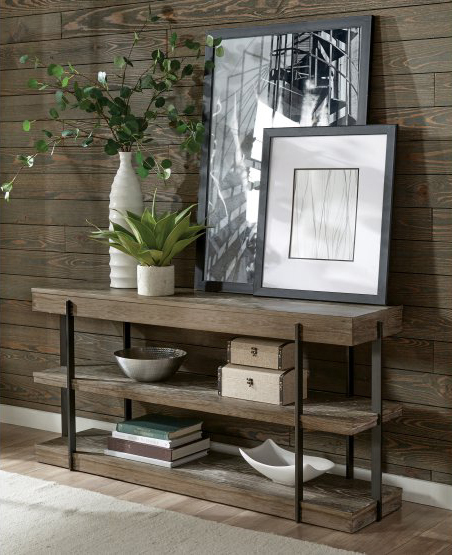 Console tables are a great way to display your meaningful curated items and allow your home to tell your story!